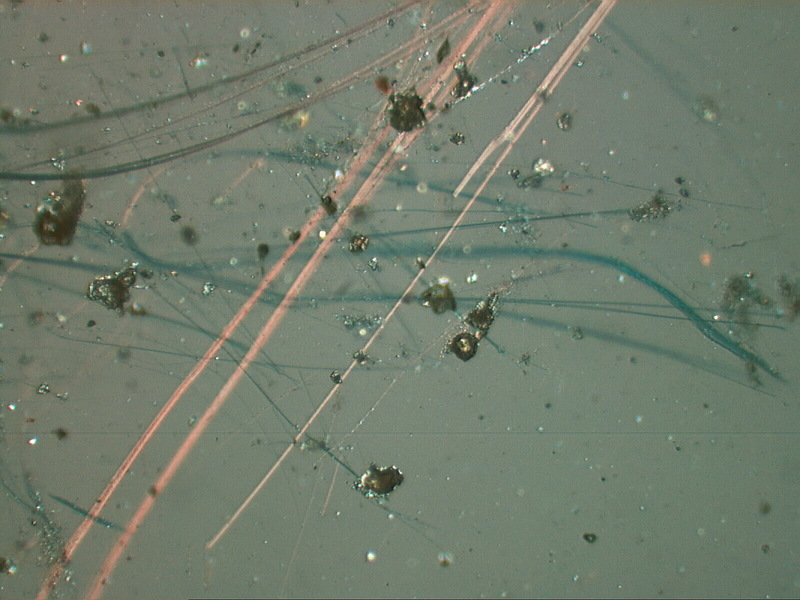 A unique feature of crocidolite asbestos is its dispersion of the birefringence. Crocidolite is naturally blue to blue-gray. Its birefringence is higher in the red wavelengths than in the blue wavelengths. As a result if the fiber is thin enough it will appear pink between crossed polarizing filters. The thicker fibers don't show this property because the red light is absorbed and the anomolous interference colors are hidden by the dense blue of the fibers. The blue fibers in this image are aligned with one of the polarizing filters show only show their natural blue color.